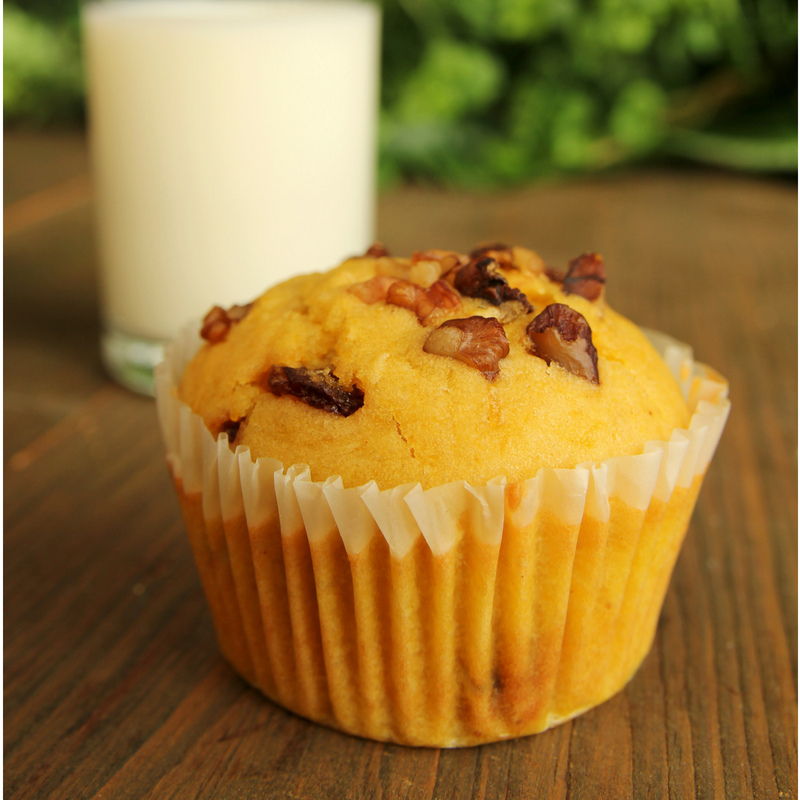 These healthy carrot muffins are an excellent nutritious snack after pregnancy containing antioxidants to support your recovery and aid good nutrition after pregnancy. They are super tasty, moist and packed with flavour and goodness without the sugar. The vitamin A in carrots supports improving brain health and cognitive functions after pregnancy, fight cancer, support better digestion to ease stomach bloating, help maintain youthfulness, support healthy hair and skin and lower the risk of developing diabetes. Great snack to eat when breastfeeding your baby or to take to work as a mid morning or mid afternoon snack. Preheat the oven to 350 degrees F or 180 degrees C. Place 12 medium sized muffin cases into a 12 cup muffin or cake tin. In a large bowl, crack the egg and then add the honey, olive oil and vanilla essence. Whisk all these ingredients together. Sift in the flour, baking powder, cinnamon and salt. Stir ingredients together until just combined. Fold in the finely grated carrots. Add the dark chocolate chopped pieces OR chopped walnuts and mix slowly and not too much so they are just mixed in. Spoon the mixture into the muffin or cake cases within the 12 cup cake tray. Bake in the oven for 18-20 minutes. Check if they are cooked by inserting a clean knife into the centre of 1 or 2 of the muffins. If the knife comes out clean then they are cooked. TIME SAVING TIP FOR PREPARING BABY FOOD! When making these carrot muffins you could also take an extra carrot and make carrot puree for babies. Peel a carrot, and cut into slices about ½ cm thick. Steam for 8−10 min until the carrot is soft. Cool slightly, then add 1-2 tbsp of the steamed water. Blend with a food processor or hand blender until runny and smooth. Add more liquid if you need.